Caring for the family pet involves a lot morethan just fresh food and water each day. Remember the adage “Prevention is better than cure?” ….. well that especially applies to animals in the form of vaccination. 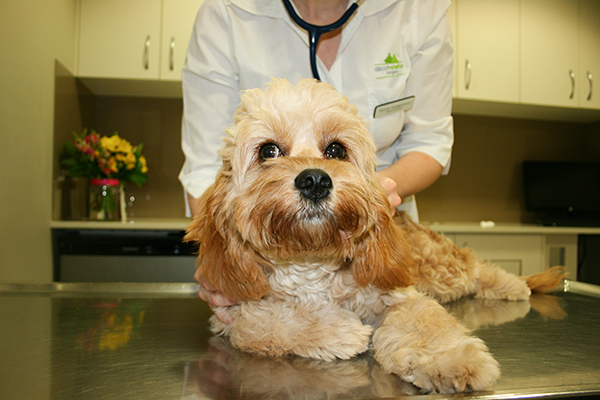 Adults Dogs- Immunity produced by initial vaccinations is not lifelong. We believe that your pet should be protected against those diseases which are most common, highly contagious and which cause serious illness. In thispart of the world our vaccines cover the following diseases. Caused by a virus, this disease is transmitted amoung dogs by contact with secretions, such as saliva, infected urineor faeces. Its symptoms are similar to those of the early stages of distemper. Causing liver failure, eye damage and breathing problems, the course of this disease can range from mild to fatal. Vaccination remains the best protection. Onset of this disease is very rapid and can often be fatal. Symptoms incluse high temperatures, loss of appetite, depression, vomiting and diarrhoea. Also known as ‘Cat Flu”, causes sneezing, coughing,eye and nose discharge, loss of appetitie and sometimes ulcers on the tongue. This can lead to severe dehydration and debilitation which can be fatal. Infected cats if recovered will often carry the virus for the rest of their life and can have relapses in times of stress. Feline Aids is a viral infection, commonly known as FIV (Feline Immunodeficiency Virus), and is spread by cats fighting. FIV in cats is similar to that of the human variety (although not contagious to humans), being a viral disease that interferes with the immune system of the cat. Just like the human HIV (AIDS), cats infected with FIV have a reduced ability to fight off even the simpliest of infections.